Today, Monaco proudly announces that its prepaid card program has been approved by the card issuer, a FinTech leader in payment processing and issuing products in Singapore. Now with the Monaco app, users can buy and exchange cryptocurrencies including bitcoin and ethereum. 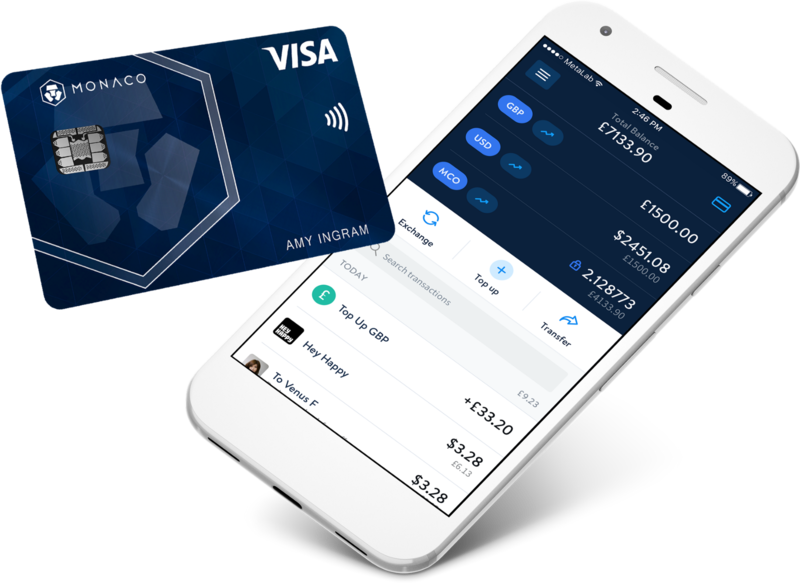 Monaco Visa prepaid cards work anywhere Visa is accepted, allowing users to spend legal tender currency converted from cryptocurrency without currency exchange fees. Moreover, Monaco Visa Platinum prepaid card users will earn an industry leading 0.75 percent cryptocurrency cashback on everyday transactions. The first Monaco Visa prepaid cards are going to be issued in Singapore and Monaco is working together with the card-issuing partner to extend this partnership to cover other regions and markets. All cryptocurrency exchanges to legal tender currency will be managed by Monaco before users transact on the Visa network. iOS and Android users in Singapore can download the app, select a Monaco Visa prepaid card among five available options, including the Monaco Visa Platinum prepaid cards, and complete a three-minute onboarding process to register on the waiting list. We are also pleased that over 17,000 Monaco Visa prepaid cards have been reserved, purely through word of mouth and without any marketing campaigns. Our team is thrilled to share this significant milestone with the Monaco community. We would like to take this opportunity to thank the community again for the incredible support we received and we look forward to sharing more updates and developments as we work to introduce cryptocurrency to the mass market. You can reserve your Monaco Visa prepaid card today at mona.co.